Worried what the future brings as you hear more about robots? Wondering how you can save time and money for your workers while growing your business and supply chain? Automation is not what you think it is! Automation isn't here for your job; it's here to help you work smarter, not harder. They're doing the boring, repetitive tasks that you don't need to waste your time on. 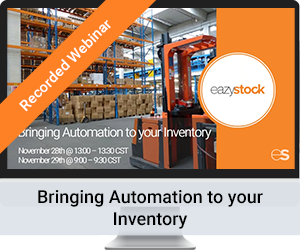 Check out our recent webinar on Bringing Supply Chain to your Inventory to discover how you can leverage technology for your business and team members. Fill in the form to watch the webinar now.